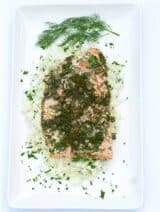 Days of summer whites, clad in crisp cool linen in the white hot sun, call for simple meals, easy to prepare – easy to enjoy. 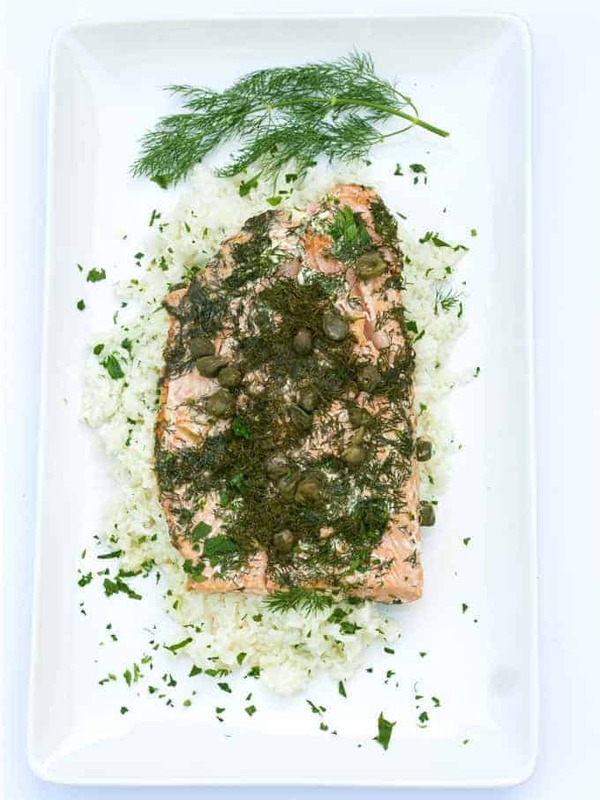 A Bijouxs perennial summer favorite, Poached Salmon with Dill & Capers, is a simple packet of flavors ready to enjoy in 20 minutes, a little jewel for your summer table. 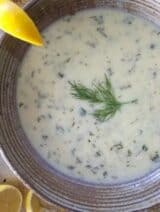 January, soup month at Bijouxs concludes with a bowl of soup that is a super bowl for next Sunday, especially if you are looking for a healthy alternative for a food obsessed day of sports. 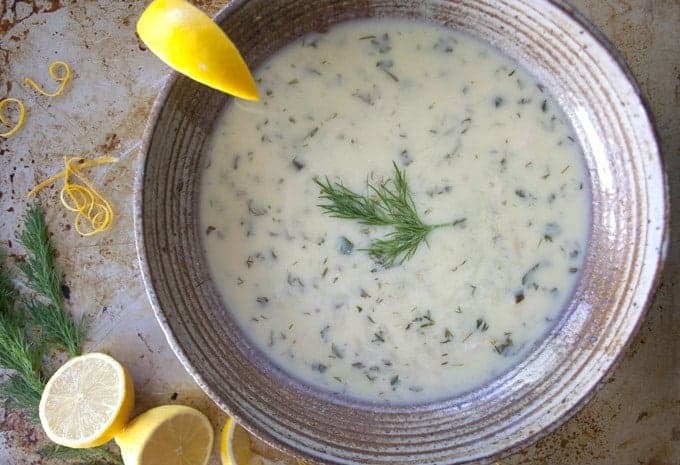 Greek Lemon Soup cooks up super-quick (microwave option), creamy and satisfying, yet leaves room for cocktails and nibbles of course – a little jewel of a soup. 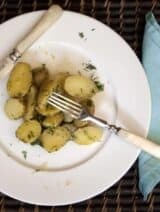 Bijouxs is cooking up a sunny disposition, a golden potato salad dressed in yellow and sporting warm flavors from the sun. 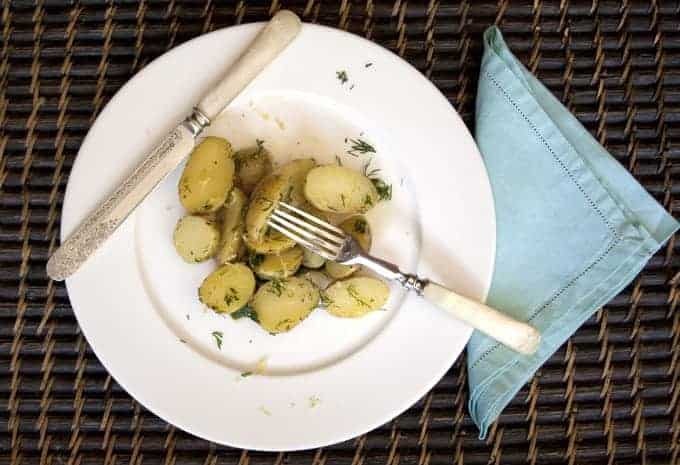 September is a month of the Bijouxs Basics, here another simple little golden jewel – Potato Salad with Lemon & Dill.